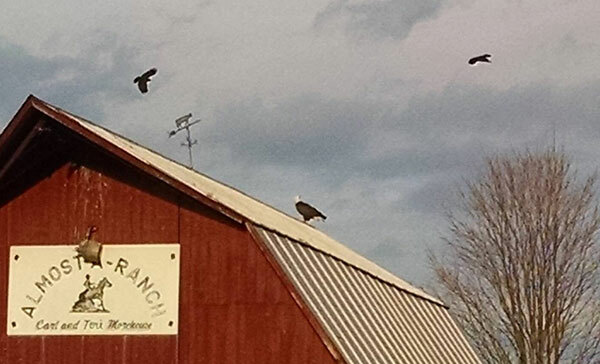 Tag Archive | "Mary Jo Giaimo"
Mary Jo Giaimo sent us this photo of an eagle perched on top of a barn on Northland Drive, between 14 and 15 Mile Roads, on Saturday. Are those also eagles soaring above or some type of hawk? Either way, they are all big birds! See more wildlife photos in our Outdoors section.